Rolfing can be done as individual sessions or in a series of sessions, depending on your needs. In our initial consultation we wil jointly decide on a plan that will best accomplish your goals. 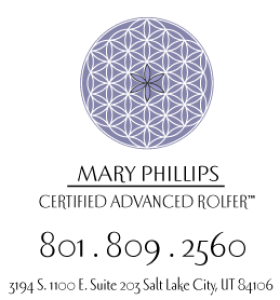 Rolfing is typically done over the course of a series of 10 sessions. It is through these sessions that we systematically begin to open and realign the body. Each of the sessions in the 10 series focuses on a different area of the body and how this area relates to the whole. The 10 series is divided into three sections. In these sessions we work to release the superficial fascia of the body. These sessions are very powerful in creating the possibility for change in the deeper layers of the body. If a plastic grocery bag is too tight, it is nearly impossible to rearrange the things inside of it. In these sessions, we are loosening the too tight grocery bag. Often years of compensation patterns begin to ease during the initial sessions. In these sess ions we are addressing structures that are closer to the spine. We are making length in the fascias of the pelvic floor, the hip flexers, the spine, and the deep neck and cranium. In the core sessions we begin to reawaken, and bring alignment to, the incredible intelligent intrinsic muscles along the spine which are built to hold us upright. These sessions vary great from person to person depending on how your body needs support in integrating the first 7 sessions. During the integration sessions I am careful to address any lingering symptoms a client may be experiencing. We also may do more movement work in these sessions, to explore ways to feel and integrate the changes that have taken place.